Twijfel is a publication on philosophy. 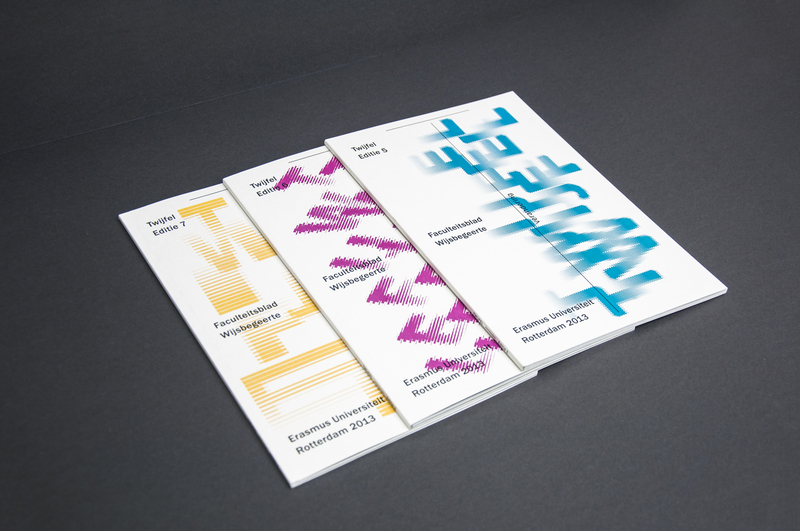 A project for the Erasmus University, Rotterdam. The thesis are written by teachers and researchers - such as Ger Groot, Gijs van Harpoons, Harrie de Swart, Wiep Bunge, and young philosophers aspiring to the philosophy faculty.